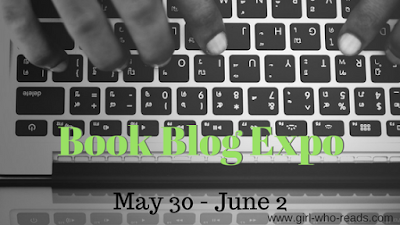 The inaugural Book Blog Expo has ended. It was attended by a small but loyal group of bloggers. I hope everyone had fun and maybe got to know someone new. 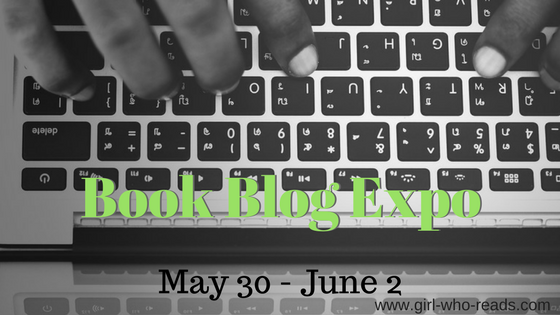 The goal of the Book Blog Expo was to allow bloggers to network with one another and other publishing people like we did during Armchair BEA, but on a smaller scale than that event which revolved greatly around the Book Expo in New York. I will admit I didn't plan well for this event and it fell at a time when I'm the busiest at work. To do this event again next year, I will need to have everything planned by February. Or I will need to schedule the event at a different time. Since we aren't tying it to Book Expo so much, I wonder if moving it to later in June would be work. Does the last week of May work for you or would you like it to be at a different time? I added an ongoing Facebook party which we didn't do during Armchair BEA. We had good interaction as people who didn't blog during the event still could discuss the topics. Also, people could drop in whenever they had time. I think it would be more important as more international bloggers get involved in the event. I'm really happy that the few people that did participate stuck with it even though there weren't a ton of others. I've never planned an event like this and I so grateful that you took time to participate. If you haven't visited their blogs, please do. Winner of my Surprise Pack Giveaway - Kelly W.
I would love to know your thoughts. You can either leave a comment or if you blog about it, you can add your link here.